Hahahaha... OK, I'm feeling rested and way too weird after 5 days off. What can I say? 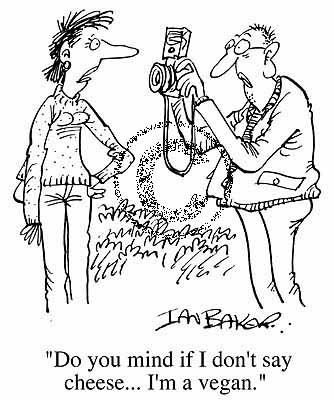 Thought you'd get a smile out of the cartoon. My sister sent it to me. I don't have any amazing recipes or meals today, just a couple of nibbles from the weekend. persimmons because she didn't know what to do with them. 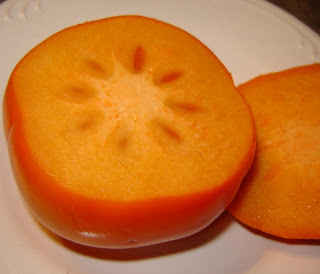 Here are a couple pictures of a beautiful Fuyu persimmon I had for breakfast this morning. Just don't confuse them with the larger Hachiya persimmons. 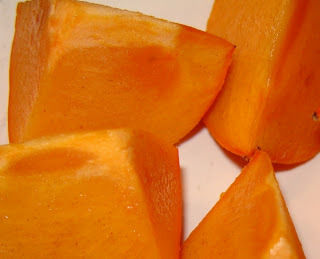 (You MUST wait for the Hachiyas to get very soft and dark orange before eating,) while Fuyu persimmons are eaten when firm. Just remove the leafy stem, slice and eat (I add a little lime juice). They're crisp and mellow-sweet. 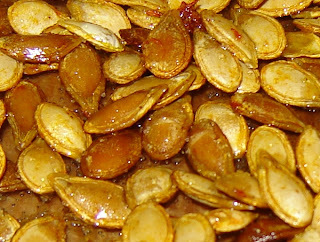 Also this weekend, we cleaned out some of the last pumpkins and toasted the seeds with sea salt and olive oil... DELICIOUS! Two cookie-sheets full and they're almost gone, but I guess that's better than some of the Holiday desserts that are still hanging around! Hope your weekend was wonderful, tasty and restful too! I love trying new fruits. I'll have to check these out! I am obsessed with persimmons! The Asian grocery store near my apt has them for a good price--I actually just bought a box of them on my way home from work today! They are SOOO good! 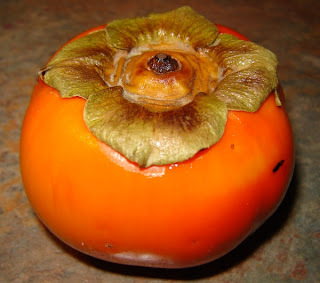 I only just the other day tried my very first persimmons... yum! and your cartoon very cute! It reminded me of of what my daughter who is 5 and allergic to eggs.. (hence my vegan cooking... )said the other day....mom I am glad that I am allergic to eggs because they use to be cute chicks.. before they were eggs! ahhhh....okay her order of operation is wrong but, her thoughts were pure! Our last house has a persimmon tree in the backyard. It was the only thing I miss about that place. Love the cartoon. Too cute! I've never had a persimmon before. Hmmm... I need to see if I can find some after my pantry challenge is over. Hee hee That comic was cute. I have yet to try persimmons. Everyone's been raving about them!